Tracing the four days from the moment she gets the call that every immigrant fears to the burial of her mother, Elizabeth Nunez tells the haunting story of her lifelong struggle to cope with the consequences of the “sterner stuff” of her parents' ambitions for their children and her mother's seemingly unbreakable conviction that displays of affection are not for everyday use. 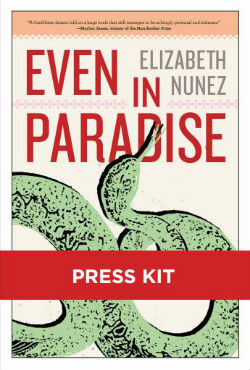 But Nunez sympathizes with her parents, whose happiness is constrained by the oppressive strictures of colonialism, by the Catholic Church’s prohibition of artificial birth control which her mother obeys, terrified by the threat of eternal damnation (her mother gets pregnant fourteen times: nine live births and five miscarriages which almost kill her), and by what Malcolm Gladwell refers to as the “privilege of skin color” in his mother’s Caribbean island homeland where “the brown-skinned classes...came to fetishize their lightness.” Still, a fierce love holds this family together, and the passionate, though complex, love Nunez’s parents have for each other will remind readers of the passion between the aging lovers in Gabriel José García Márquez’s Love in the Time of Cholera. 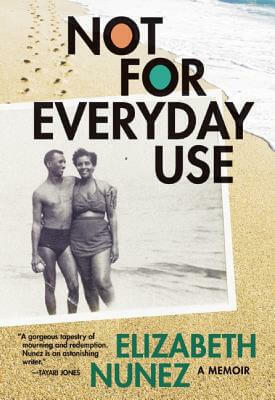 Written in exquisite prose by a writer the New York Times Book Review calls “a master at pacing and plotting,” Not for Everyday Use is a page-turner that readers will find impossible to put down. Tell us what do you think about Not for Everyday Use: A Memoir.